Multi-award-winning casino games developer Pragmatic Play has taken its content live with leading online operator Mr Green. Developing on its reach with another leading operator integration, Pragmatic Play games including Wolf Gold, Diamond Strike, Gold Rush, Hot Safari and more are now accessible through the new operator. The leading casino games producer with products covering slots, table games and video poker – Wazdan – has announced a major partnership with ALEA and their flagship brands SlotsMillion and LadyLucks. The world’s only 3D virtual reality online casino, SlotsMillion, operated by ALEA, made its first millionaire earlier this year when one lucky player reached a £2.2m jackpot on Mega Fortune. The first co-produced, White Label Studios slot by Yggdrasil, Royal Family, has launched exclusively on LeoVegas Gaming. Royal Family includes collectable feature prizes, a royal chest and a free spin mode with sticky wilds, with a choice of 12 bonus features. 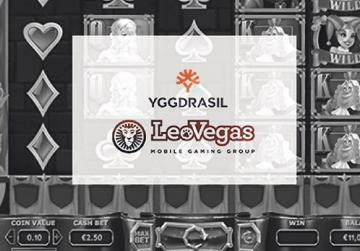 The five-reel, four-row, 25-payline game will be marketed as part of the LeoVegas Originals series and marks the first title to be delivered as part of a partnership between the operator and Yggdrasil White Label Studios. Catena Media plc, the online performance marketing company, has acquired www.gg.co.uk, a site in the UK that concentrates on horse racing. Through the acquisition, the firm aims to secure its position in the UK – entering a new area within sports betting. GG.co.uk is a strong and reputable horse racing brand, with an extensive product offering. Catena Media hope that the acquisition will compliment its other UK-based assets, such as BettingPro.com. Global Gaming, the Swedish-based gambling firm, has announced that CEO, Steffan Olsson, will step down after ten years in the role. Olsson, who stood down at his own request, will be taking on a different role within the business. Here, he will be taking responsibility for what the firm has called an ‘innovation team’, which will internally be called Global Gaming Labs. Iforium, the leading B2B casino aggregator, has signed a multi-year agreement with Wazdan, the technology and content provider. As part of the agreement, Wazdan will integrate its full suite of casino games to the Iforium Gameflex platform. Iforium is a company focused on providing the next generation of flexible gaming solutions with multi-award winning products and services. Gameflex is their innovative multi-vendor casino aggregation platform that combines over 5,000 desktop and mobile gaming titles from all the leading content providers. LeoVegas has partnered with Greentube to bring its renowned casino content to various European markets. Greentube, the NOVAMATIC Interactive division, has launched a wide range of game content on the award-winning LeoVegas platform for its casino offerings in Scandinavia and the UK. A selection of market-leading games, all seamlessly integrated via the Novo Remote Gaming System solution, has been tailored for players in Scandinavia and the UK. The Malta Gaming Authority has published a guidance document on the General Data Protection Regulation that will become effective on May 25. This regulation plans to harmonise data protection regulation across Europe, in order to protect and empower all EU citizens’ data privacy. This will be completed in the hope that it will transform the way organisations across the region approach data privacy. NetEnt has unveiled its newest technological innovation in live casino with the creation of live sports roulette to help operators keep players at the heart of the action during the World Cup. NetEnt is ramping up its World Cup-related product releases to provide casino operators with engaging entertainment throughout the tournament. The new live sports roulette will be launched on June 14 and is available to players during the World Cup. Pragmatic Play, the multi-award-winning casino games developer, has continued the expansion of its global reach in a landmark partnership with Danske Spil. These games now feature with many of the world’s leading online gaming companies including Mr Green, Betclic, Lottoland and GVC Holdings. Habanero has agreed to launch its content with leading European aggregator GAMEIOM. As part of the deal, the UKGC and Gibraltar-licensed platform will integrate the supplier’s full suite of games, including its latest releases Presto!, London Hunter, and the forthcoming Fortune Dogs. Among the tier one operators who currently utilise GAMEIOM’s distribution are household names such as William Hill, BetVictor and LadbrokesCoral. Yggdrasil Gaming and Betsson have secured their strategic partnership following an agreement on a new comprehensive deal with the operator. The agreement will act as an extension of the collaboration between Yggdrasil and Betsson into numerous new regulated markets, including Denmark, Italy, Spain and Latvia. Italy is the first of the new markets to go live, with Yggdrasil content now available on Betsson’s starcasino.it brand. Lotus Gaming has opened its doors to the Southeast Asian market. In 2016, Lotus Gaming began to operate in the Philippines and introduced itself as a gaming platform that would cater to its shareholders and gaming counterparts. Lotus Gaming lets players navigate through an extensive range of innovative games while exhibiting a comprehensive game guide transcribed in nine languages and 14 currencies.